SW. of Minot ND. An MP. got a call to one of the missile silos. The Sergeant on duty took two other men with him. He told me that they had come over to see a UFO over the silo. The guards at the silo were like statues. The locks on the gates were open, and gates open. The sergeant had contact with the officers down in the silo. They were very upset, it seems that the missile had been armed and unlocked in launch mode, and that the warhead was armed. Minot Air Force Base, History In the early 1950s, as the Cold War was warming up, military leaders feared a possible threat of northern attack of the North America by enemy bombers. Air Force Leaders began looking for possible sites for air bases in the northern United States. The city of Minot sold the Air Force on becoming a site for a new base in 1954. The following year Minot businessmen and citizens donated approximately $50,000 to buy the first portions of land for the base. The ground breaking took place July 12, 1955, and construction started shortly after. The base started out as a Air Defense Command (ADC) Base and the first unit was the 32d Fighter Group, activated on Feb. 7, 1957. The Air Force took up occupancy eight days later on Feb. 15. There was a small ceremony in front of base Ops when the Army Corp. of Engineers officer turned over the key to the base to the first base commander Major Joe E. Roberts. Personnel celebrated the first church service in July 1958, and the Base Exchange opened in Sept. 1958. That same year, Air Defense Command established a Semi-Automatic Ground Environment (SAGE) sector at Minot AFB, it was construction of a huge, windowless blast-resistant concrete building. IBM engineers installed two large, 275-ton computers in the basement of the building. The first permanent Strategic Air Command (SAC) unit assigned to Minot AFB was the 4136th Strategic Wing in September 1958 and within six months, the 906th Air Refueling Squadron was activated and assigned to the 4136th. They provided air refueling support to northern defense operations. The first KC-135A Stratotanker, dubbed "Miss Minot," arrived September 23, 1959. In addition, there was one U-2 aircraft stationed on base for 18 months as part of "Operation CROWFLIGHT." Facility A-02, September 9, 1963. Within a short 28 months, in April 1964, the 455th became combat ready. The amber waves of grain over the North Dakota plains were implanted with a combat ready ICBM system born of the latest American technology. As SAC's mission continued to grow at Minot, ownership passed from ADC to SAC. As Minot's mission changed, the SAGE center was deactivated in May 1963 and eventually housed numerous base agencies and today is known as the Professional Results In Daily Endeavors (PRIDE) Building. Minot AFB's organizational makeup changed in mid-1968, when the 91st Strategic Missile Wing replaced the 455th Strategic Missile Wing, and the 5th Bombardment Wing (BMW) replaced the 450th Bombardment Wing. These changes were in line with Air Force policy in keeping active those units with the most illustrious histories. Following the 1980 Iran hostage crisis, SAC tasked the 57th Air Division (AD), which had been on base since the mid 70's, to organize the Strategic Projection Force (SRF). The 57 AD became the first division in SAC to implement this concept. 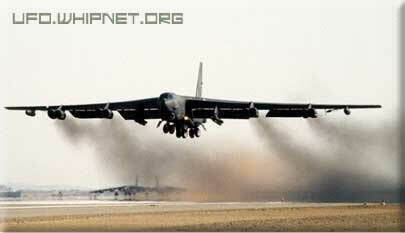 The 5 BMW's B-52H fleet became the spearhead of this force, able to provide conventional warfare anywhere in the world. In the late 1980's the 57 AD became the host unit, providing logistical, security, administrative and other support services to the 5 BMW, 91 SMW and tenant organizations. In 1988, the Air Force selected Minot AFB for the Commander-in-Chief's Installation Excellence Award. This presidential award recognizes those military installations that combine mission excellence with a concern for people to produce working and living conditions truly above other installations. Closing out the 1980s Minot continued to answer America's strategic needs. Rivet MILE, the Minuteman Integrated Life Extension program, is a nine-year modification program for missile support systems and facilities. 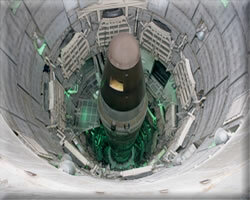 It will maintain the Minuteman III as an effective deterrent into the next century. The 5 BMW continued to modernize in October 1989, when they added the Air Launched Cruise Missile (ALCM) to their arsenal. Entering the 1990s, Minot AFB demonstrated its war-fighting capabilities by deploying aircraft and personnel to the Middle East for the overwhelming victory over Iraq during Operation DESERT STORM. After the war, the base prepared for changes as the Air Force directed a major reorganization. In June 1991, the 57th Air Division was inactivated and the 5th Bomb Wing (BW) assumed host base responsibilities. As the "Cold War" came to an end, 5th Bomb Wing's aircraft came off alert status in September 1991, after 35 years of continuous alert. 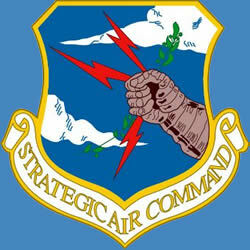 In June 1992, the newly formed Air Combat Command (ACC) replaced Strategic Air Command (SAC) as host command. Both the 91st and 5th fell under the newly formed ACC. The following summer the 91st was reassigned to Air Force Space Command. The 5 BW gained the Advanced Cruise Missiles (ACM) for the B-52 in the spring of 1993. In January 1994, the base lost one of its oldest units, the 906th Air Refueling Squadron. The final KC-135 departed Minot three months later. The 91st Missile Wing (MW) completed its first major upgrade on the command, control, and communication systems of the Minuteman III ICBM's launch and control centers in August 1996. They did it with the new Rapid Execution and Combat Targeting (REACT) upgrade program. The 91 MW continues to modernize their Missile Alert Facilities (MAF) through "Alert Imaging." A continuing event for the base is the Strategic Arms Reduction Treaty (START). Since the treaty went into force in late 1994, the base received eight inspections, four on the 91 MW and four on the 5 BW, the latest in October 1997. On October 1, 1997, the 91st Missile Wing was redesignated the 91st Space Wing (SW).